If you have ever worked in a team or in any other way had to maintain others people code, you already know how important is to write maintainable code. Actually, this doesn’t need to be others people code at all – if you are trying to modify your year-old-code, you may already forgot all the details around it and it may be hard for you to read it, let alone modify it. Since there are many articles on this topic, I will just mention for you few easy starting tips, something that we always have to teach our interns and junior developers. Whenever you do some work, try to stick to some coding standard to make your coding style consistent. 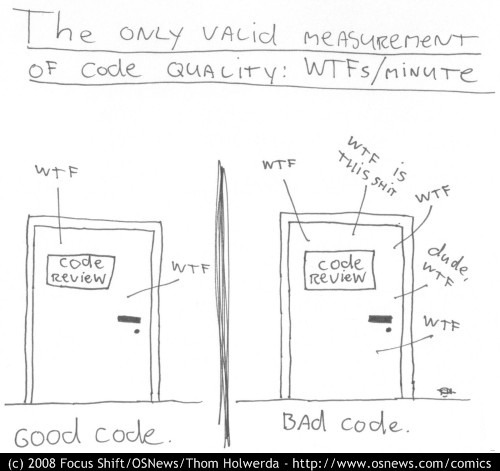 If you are working with framework, that framework most likely has some coding standard. If not, discuss it with your team as it will make your life easier. If you are reading this, most likely you are working with Magento. In that case, you should read what official documentation has to say about it. Also, set up your IDE to do those validations automatically for you. Stick to that, and your comments will have much more sense. It is easier to have visual separation of checks and logic, rather than tracking the nesting levels and what falls inside and outside of code blocks. We have 3 optional parameters, which will not make anyone happy who needs to modify this. Of course, it is not an option to break DRY yourself, but perhaps you made a mistake earlier. Maybe all you need is a $menuConfig parameter that will be responsible for all validation and config handling. Maybe you do not need those options at all here, but you need to implement decorator pattern. Next time you find yourself writing a function that has more than 2-3 parameters, stop and think if you are doing something wrong. In the end, you can always use tools such as phpcs and phpmd that will help you avoid most common pitfalls. It is rather easy to set those up (also, it is topic for another article), but you should definitely try it. Default parameters for error/warning threshold are just ok. So if you got something like this, listen to phpcs and consider refactoring the function. Stjepan likes to spend his free time programming and riding his motorbike. I would also mention PHPstorm’s functionalities for reformatting code and code inspection.. been very helpful to me. Also, PHPstorm can give early heads up for PHP version compatibility and such.